1. I have almost a half hour every morning while I am waiting on the boys to wake up. I don’t have to start breakfast right away. So, why not use that time to read and reflect? Like, the Bible? Makes sense to me. Instead of trying to find time, use what I’ve been given. 2. 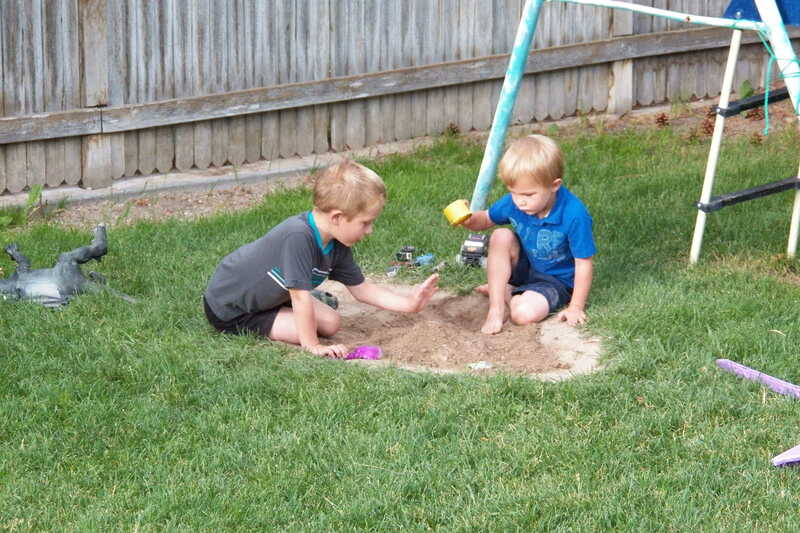 My boys need a sand box. 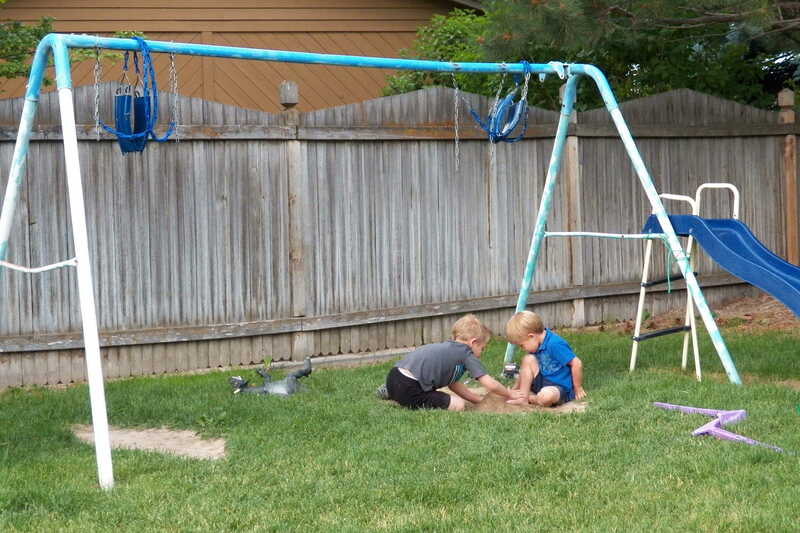 Yesterday, I allowed them to dig a small hole under one of the swings (grass will never grow there, anyway) and play with the dirt. Building volcanoes, playing with cars. They had a blast for over 2 hours. Today, they are back at it, right after finishing breakfast. 3. Family matters, others people in your life are random. They will come and go but only family stays forever. 4. I have started following a few blogs. Things that have caught my eye and I’ve enjoyed them. This one has a great post, today. The beginning of it is something I need to start doing, not thinking. It’s is in regards to finances. I might have to steal what she wrote and stick it on my fridge. 5. Summer is halfway gone. I need to get off my duff and start prepping for fall. I’ve not finished the yard at this house. My home. I want to get it the best I can before fall comes so next summer, life will be easier. I also need to finish my house. I’ve been piddling around but have not finished. 6. I really need my sewing machine fixed. I miss it. 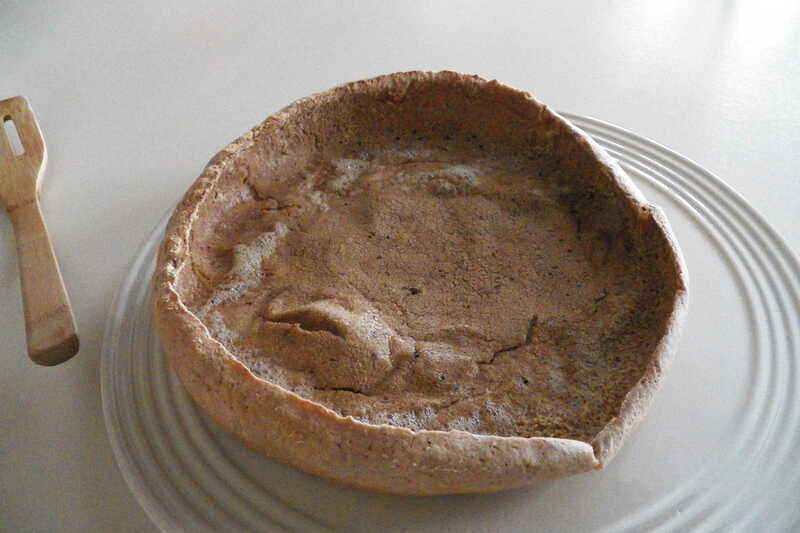 This morning, I made German Pancakes and added a little bit of Hershey’s Unsweetened Baking Cocoa. I thought it tasted alright; the Nanny didn’t notice a taste except for the color of the pancakes. I want to play with adding more and different things to the pancakes. Y’all have a great day. I need to get my tush moving. I enjoyed your blog and was most impressed with the German pancakes!